Music composer, Petaluman Jasha Klebe, is now a success story from our very own Cinnabar Theater. He wrote the music score for a film recently awarded the Peoples Choice Documentary Award in the Toronto Film Fest for ‘Winter on Fire.‘ We tracked him down only to find he was en route to the Ukraine to premiere their film for the embassy there. He is currently working for the critically acclaimed Netflix documentary, Winter on Fire: Ukraine’s Fight For Freedom. Jasha’s musical upbringing was influenced early in life by his grandfather, Marvin Klebe, founder of Cinnabar Theater and a baritone opera singer who once sang with the San Francisco Opera Company. Following years of classical piano training and trombone in symphonic band, Jasha began his film composing career at Remote Control Productions, where he earned the opportunity as an additional writer along side Oscar-winning composer, Hans Zimmer, writing on such notable projects as The Dark Knight Rises, Rush, and Captain Phillips. For four years he gained experience working with top artists in the industry, including working with the Grammy Award winning composer Lorne Balfe on several TV shows and video games (The Bible TV series , Assassin’s Creed ). Jasha is currently one of the leading composers at Bleeding Fingers Custom Music Shop (a Hans Zimmer and Extreme Music creative partnership) located in Santa Monica, California and works in one of their state-of-the art studios. We interviewed Jennifer and Mike Griffo, owners of Griffo Distillery in Petaluma, and found them to be hard-working and well educated. Jennifer has an M.A. at Stanford University in International Development. Mike Griffo has a PhD in Physics from University of California, Santa Cruz. They have lived in the bay area now for 15 years. In 2008 they got the idea of creating Griffo Distillery while lying on a picnic blanket at the Peay Vineyard. They were reflecting that owning a winery would be a good life for them — one that would keep close to their family and community. However they didn’t want the demanding agricultural challenges that comes with managing a vineyard. That was their “Aha” moment when the idea of a spirits distillery – exactly what they want to do without the headache of growing grapes. The distillery business for the Griffo’s has been a labor of love. Their blood, sweat, and tears have poured into this small family-owned spirits company. Mike Griffo spent three years as a “Qaunt” or doing Quantitative Analysis for Barclays in New York to raise the money to start the distillery. Five years of penny pinching and planning went into starting this operation. They decided on a (infamous) Scott Street location because it is anchored with other craft beer and spirit makers, like Petaluma Hills and Lagunitas, as well as close to their family. They struggled through the outdated Prohibition Era regulations (unlike our Craft Beer companies who have earned relaxed alcohol practices to create their brews.) These laws allow them only a limited number of options on how they could distribute their products. 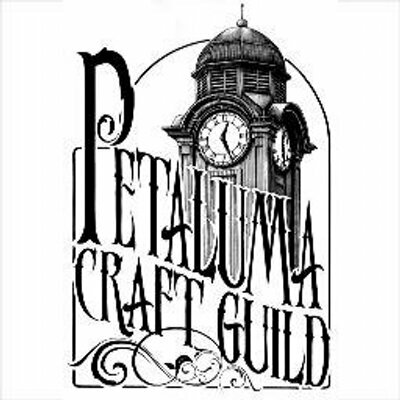 The Griffos are the founding members of the Petaluma Craft Guild. UPDATE July 18, 2015: Em Rossi featured in Petaluma Star YOUNG PETALUMA MUSICIAN LAUNCHES BIG CAREER. Our interview her her below is mentioned and linked from the star piece. UPDATE July 16, 2015: Just 6 days after we published this post and our interview below of Em Rossi, the Petaluma Argus Courier publishes this July 16, 2015 article: Em Rossi singing her way to a career in music by Kate Hoover, Argus-Courier Intern. We wish Em the best and look forward to her songs hitting the music charts. 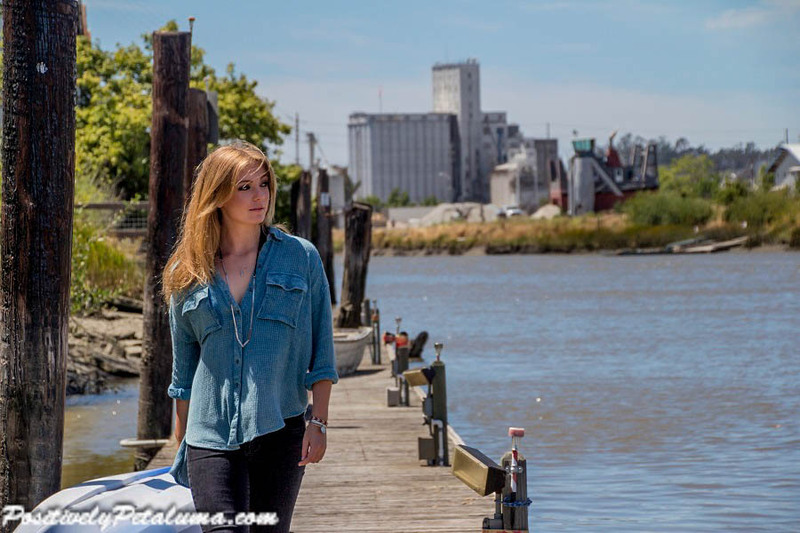 Many good things come out of Petaluma and up-an-coming singer/songwriter Em Rossi is primed to be one of them. A Petaluma native, Rossi’s music is her passion and form of expression. It’s what she does to brighten a dreary day and to make the good days even better. Rossi attends Petaluma High School and at 17 years old will be a senior in the fall. Her recently release debut single, “MADNESS” below will be playing on KSRO 1350 and FM 103.5, where Rossi is scheduled to be interviewed on August 4th. Ashley Collingwood: How did you get started singing? Em Rossi: Singing was just kind of something that came naturally to me. From a young age my parents always said that I just made noise around the house—I would sing to the radio, I’d sing to the music being played everywhere—so around eight years old they finally decided “okay, put her in music lessons.” So after that I started being a little bit trained and then it just kind of went on from there. Ashley: What inspires your music? Em: I would say what inspires my music is just my life experiences in the past year. You know my father passed away unexpectedly so that was a major personal change in my life. So with this new album I just focused on using that as my vent to really express the thoughts and emotions that were going through my head and just get out what I needed to say and wanted to share to people. This year’s Great Petaluma Chili Cookoff was the best attended in its 18 year history. There was 1050 attendees, 40 challenger teams, 26 breweries which is the highest participation in every category since inception. In our post VIDEO/PHOTOS: Winner’s of the Great Petaluma Chili Cook-Off we highlighted this years winners. The Grand Champion this year was Taps under the supervision of their Chef Abe Asay who was awarded a Golden Ticket to enter the 2015 World Food Competition in Florida. This week we sat with Abe to learn more about him AND he agreed to share his award winning recipe to Positively Petaluma readers. Wayne: Was this the first time you have won in the Chili competition? Abe: No, we have won first place in the Restaurant category 2 or 3 years in a row? Wayne: How long have you been a chef at Taps? Abe: I have been here since they started – it will be six years in September. Wayne: Where you a chef prior to Taps? Abe: Yes I was a chef in Orange County at a restaurant called the Cafe Mezzaluna. Wayne: Is that where you are originally from? Abe: No I am a native of Petaluma. Wayne: Where did you you get your inspiration to become a chef? Abe: My parents and grandparents liked to cook – and they always cooked good food. We grew our own vegetables. I also was part of the 4H club and learned how animals are raised. Wayne: When was the first meal you cooked? Abe: I was about 7-8 years old and it was Thanksgiving Day. I remember my grandmother and grandfather telling me I better not try cook anything outside our traditional Thanksgiving dinner. They told him “No fancy stuff”. Donagh McKeown produced this video which is made for Irish TV “Irish Voices” in a segment he calls “California Matters.” This is an excellent portrait of our former “Good Egg” telling his story about him, the Aqus (Cafe) Community, and his business. Stett Holbrook editor (owner/founder) of The Bohemian in Petaluma, California interviews JJ owner and brewmaster of Petaluma Hills Brewing Company on a segment they call “The Bohemian Life” that is a new video series that had its first debut this month. 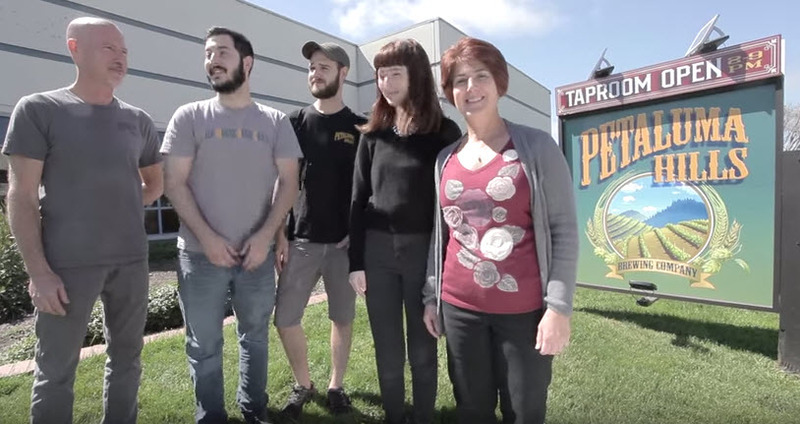 This is a Petaluma business run by a Petaluman family, and the video does a great job capturing and telling their story. Also check out our previous posts where JJ gives advise to Home Brewers in 5 Tips For Homebrewers Entering The Sonoma County Home Brewer’s Competition. Steve Jaxon radio broadcaster for KSRO interviewed Petaluma’s Laura Sunday and Houston Porter. 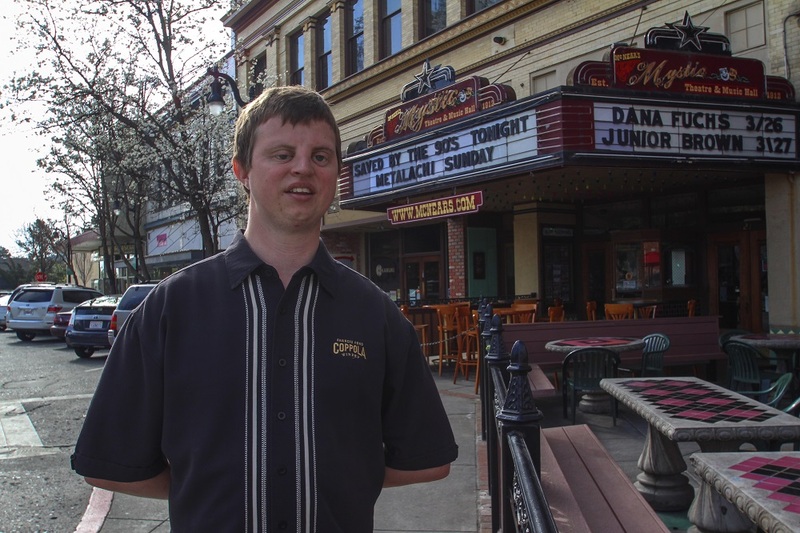 Sunday tells how the Great Petaluma Chili Cookoff started and Porter, a Positively Petaluma contributor, will be supervising the event from oversees. During the interview they tasted some chili from a few contestants – you will have to watch to video to find out. Also they announce the “Golden Ticket” that will go to the Grand Champion this year. This was later proclaimed to be “Star Wars Day” and LucasFilm embraced the spirit from their fans. Fans spread the word with #StarWarsDay. This year it is even a bigger year in anticipation of the release of a new trilogy starting with the much anticipate Star Wars: The Force Awakens. Steve Sansweet has published several books on the subject . More recently he released Inspired By The Force: Star Wars Fan Artifacts & Art. To see his incredible collection you can also order his book Star Wars: The Ultimate Action Figure Collection. UPDATE: April 23, 2015 – I guess our article inspired the Press Democrat to shine the light on Hoby in Popular blind wine tasting an inspiration BY PEG MELNIK THE PRESS DEMOCRAT. 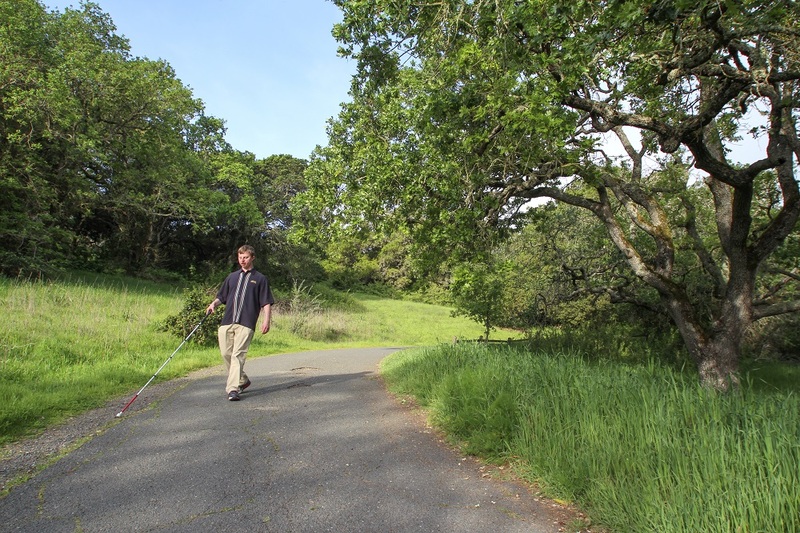 Petaluma native Hoby Wedler has always been blind. Born with microphthalmia, a rare eye abnormality, Wedler lives in a world not dominated by sight, allowing him to explore the world through his other senses. 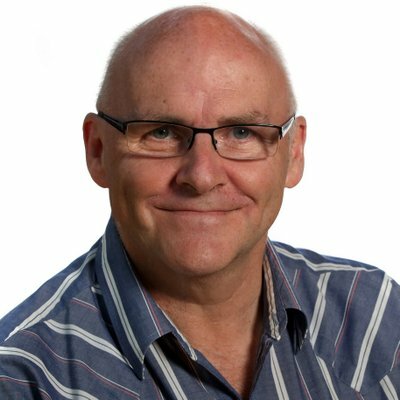 Ken Weaver was recently named editor at ‘All About Beer’ Magazine. All About Beer president & publisher Chris Rice said “Ken has his finger on the pulse of today’s beer releases,” and Weaver admits he’s tasted many versions of the sudsy beverage. Before he earned an MFA in creative writing from the University of Maryland, Weaver earned an undergraduate degree in physics from Carnegie-Mellon and then a master’s in physics from Cornell University. It’s at Cornell where Ken met his wife, a Nicasio native, Anneliese Schmidt. Weaver, who is based in Petaluma, CA, previously served as editor in chief of RateBeer Weekly. He also serves as a regular contributor to FSR Magazine, focusing on improving beer’s presence in the full-service restaurant industry; columnist and reviewer for the Rare Beer Club; and publisher of his beer release newsletter 3 Beer Island. His first book, The Northern California Craft Beer Guide, was named a finalist for an NCIBA Book of the Year Award. In 2013, Weaver earned first-place honors in the North American Guild of Beer Writers’ (earned a total of 3 awards from the NAGB) contest in the Best Beer and Food Writing category.